What Do You Do When You Have Only A Few Clothes To Dry But You Only Have A Big Drying Stand At Home? 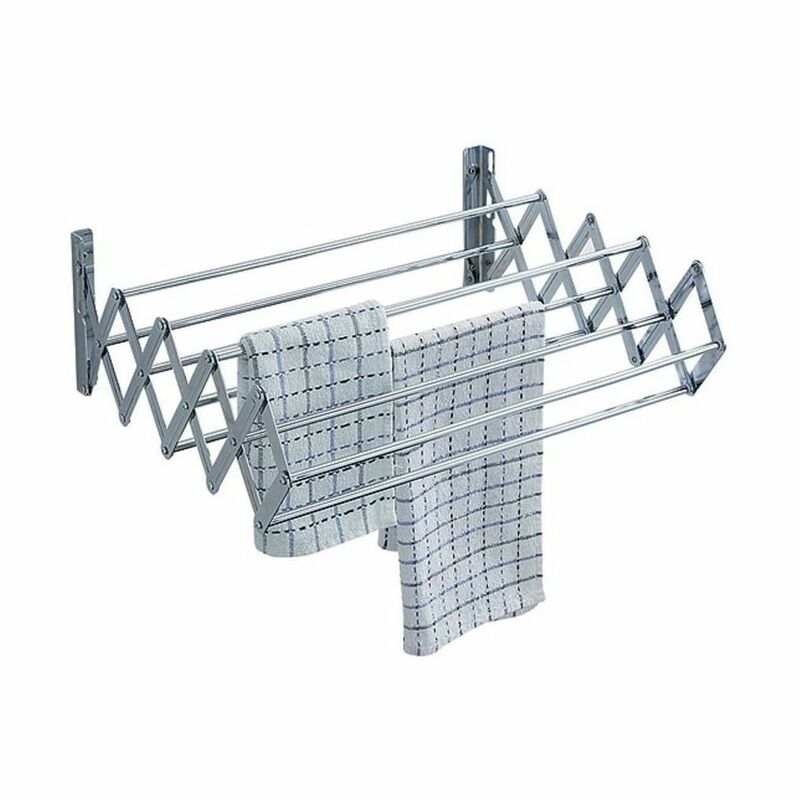 From Delicate Hand-Washables To Everyday Essentials Like Towels And Napkins, This Kawachi Wall Mounting Cloth Stand Offers A Simple Solution For Conveniently Hanging Them Neatly Together For Drying And Can Be Placed Indoors And Outdoors. 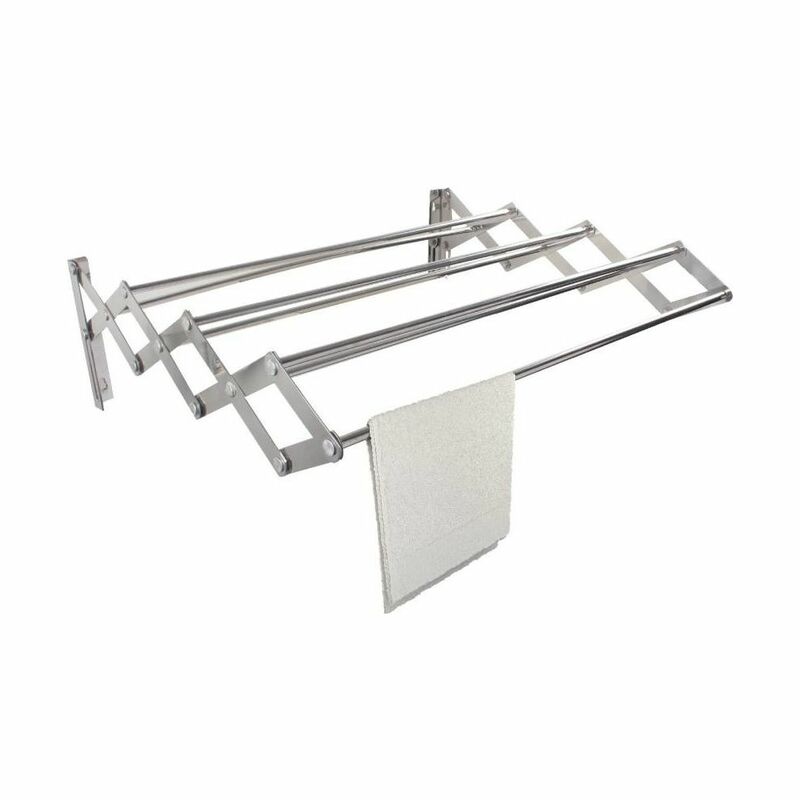 • Mount Our Handy Expandable Clothes And Towel Drying Rack In Your Laundry Room, Basement, Bathroom, Or On Any Door Or Wall. 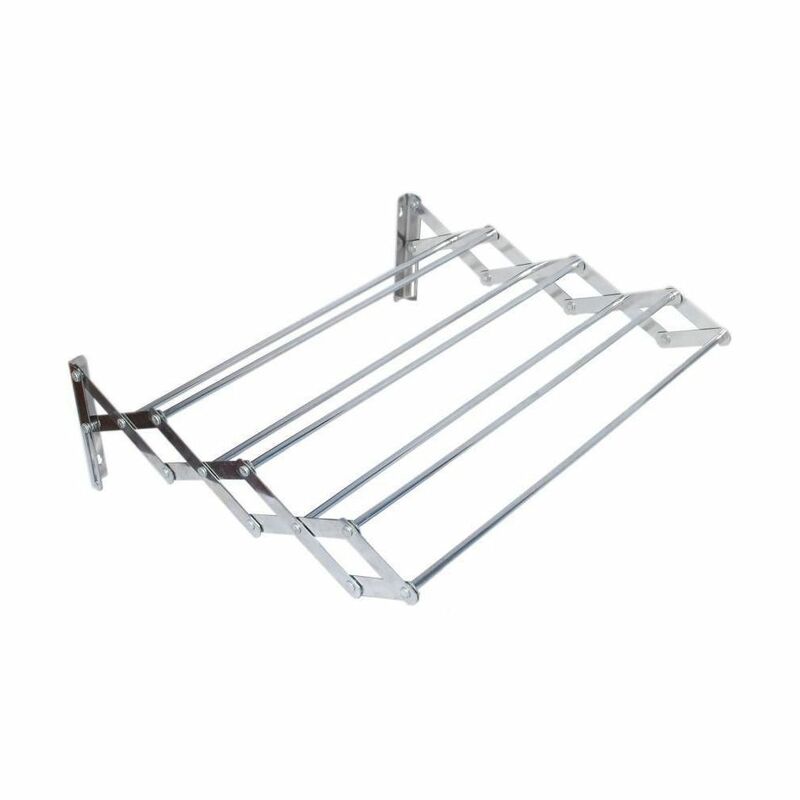 • Keep Your Essentials Organised And Dry With This Multipurpose Hanging Rack. 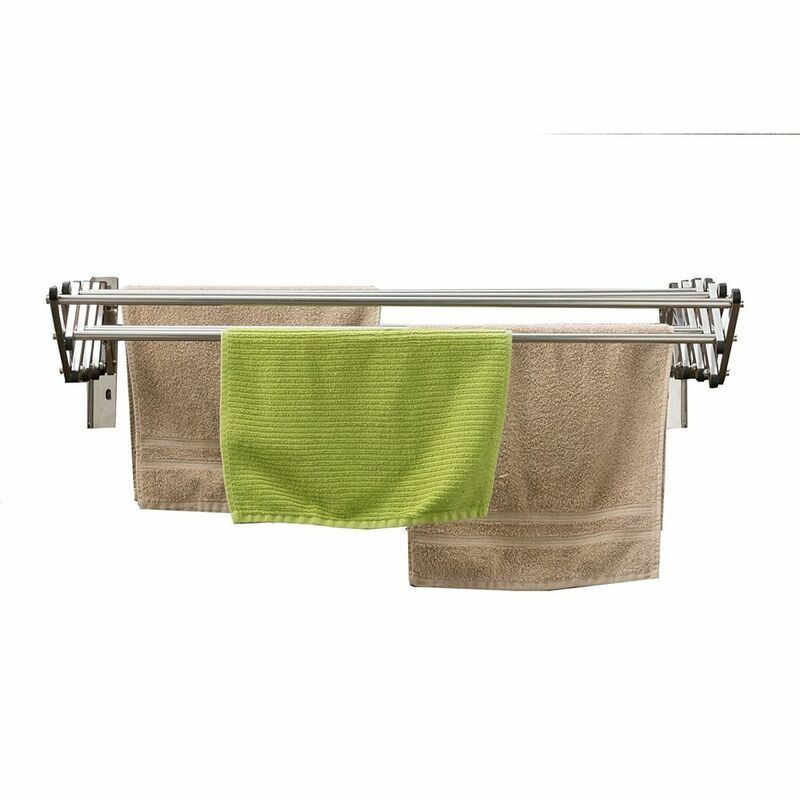 • Provides A Convenient Place For Hanging Up Clothes And Towels And Other Delicate Items. • Best Of All You Won'T Take Up Any Valuable Floor Space When You Just Have To Dry A Handful Of Clothes. 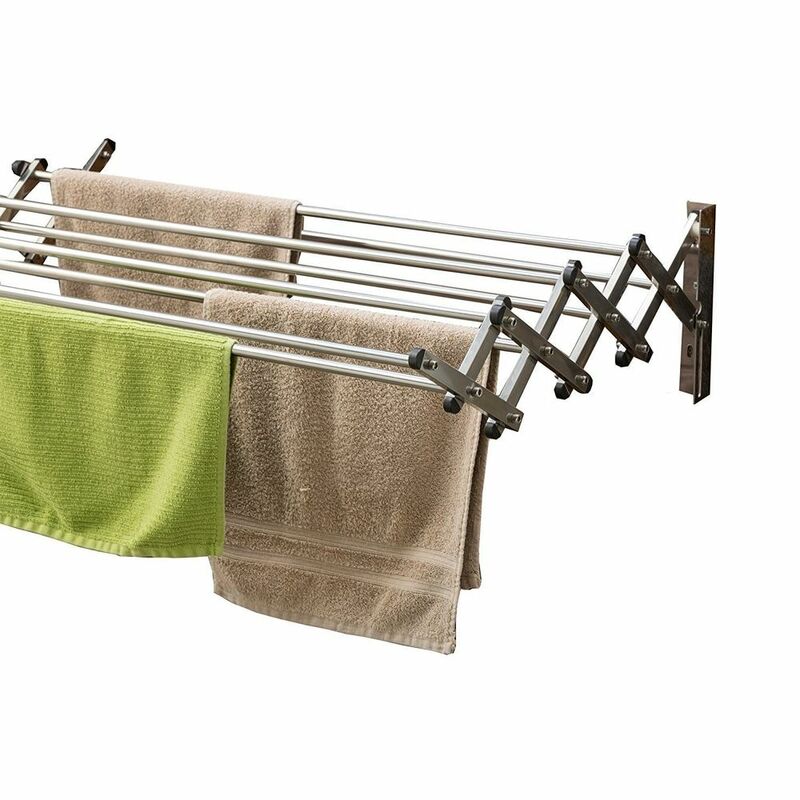 • Mounts In Seconds, Expands, Has 7 Drying Bars And Folds Back Up When Not In Use. • A Must Have For Hostel, Homes And Apartments. 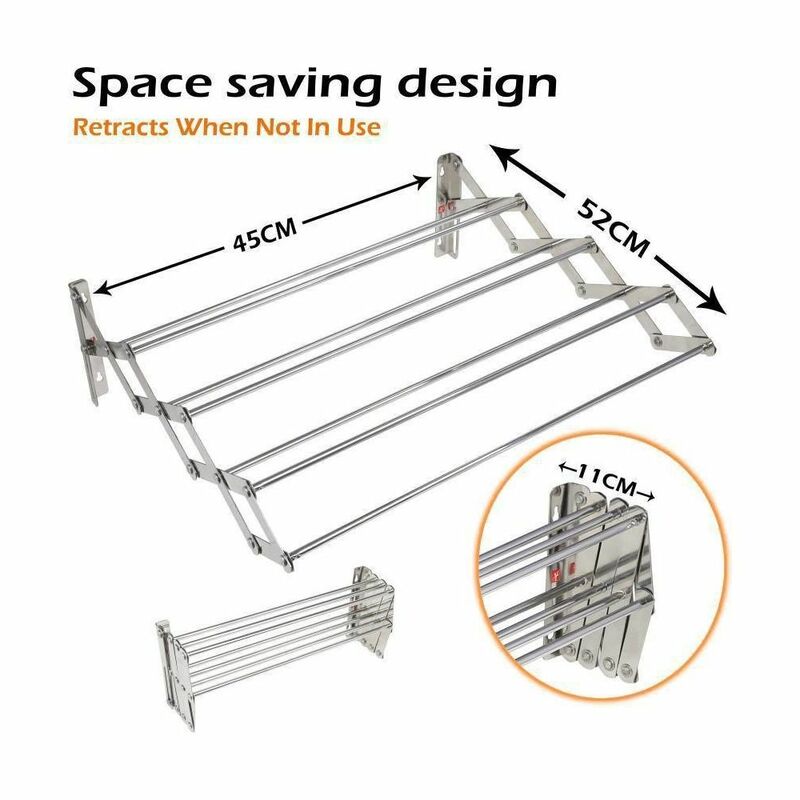 Easy To Mount And Use - Takes Up Very Less Space. 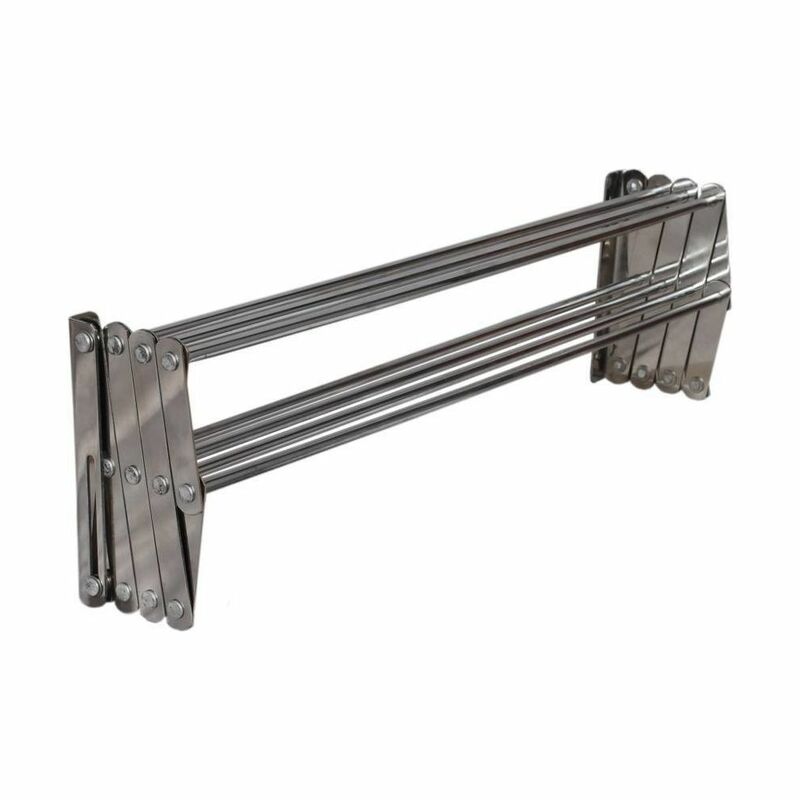 • Other Dimensions - Height= Adjustable As Per Requirement. Width= Size Of The Side Frame/Bracket. Depth= Length Of Pipes.